A dollar for unleavened bread." Dr. 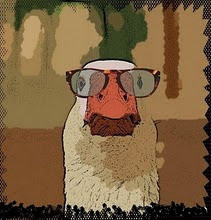 Goose, who - like many economists - celebrates Passover, was surprised to find this week that his local takeout salad place, where bread is a free side dish, charges $1.19 for a matzo. He surprised himself even more by paying it; such is the price of faith. Happy Holidays to all those celebrating Easter and Passover this week!